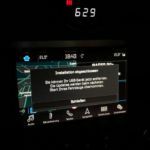 Updating to F8 maps (Europe 2018) on Ford vehicles equipped with SYNC 3 became a lot easier than the former procedure to upgrade to F7, so this tutorial will get a lot shorter than the popular “old” one from last year. This will however only work with pre-MY18.5 vehicles. 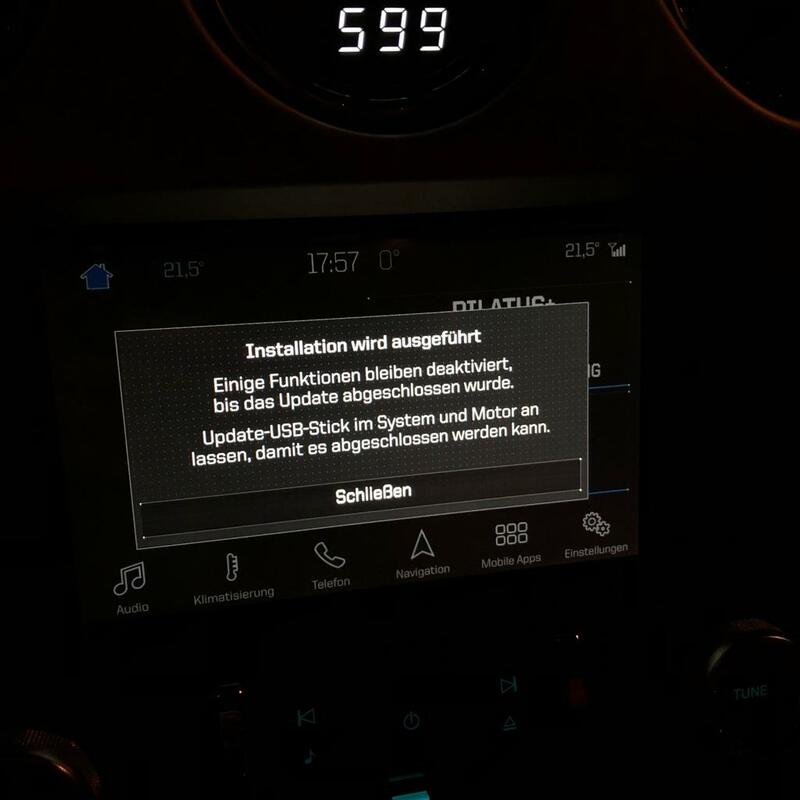 If you have a MY19 car with SYNC3 this update is not compatible with the new partitioning of the newest APIM hardware. 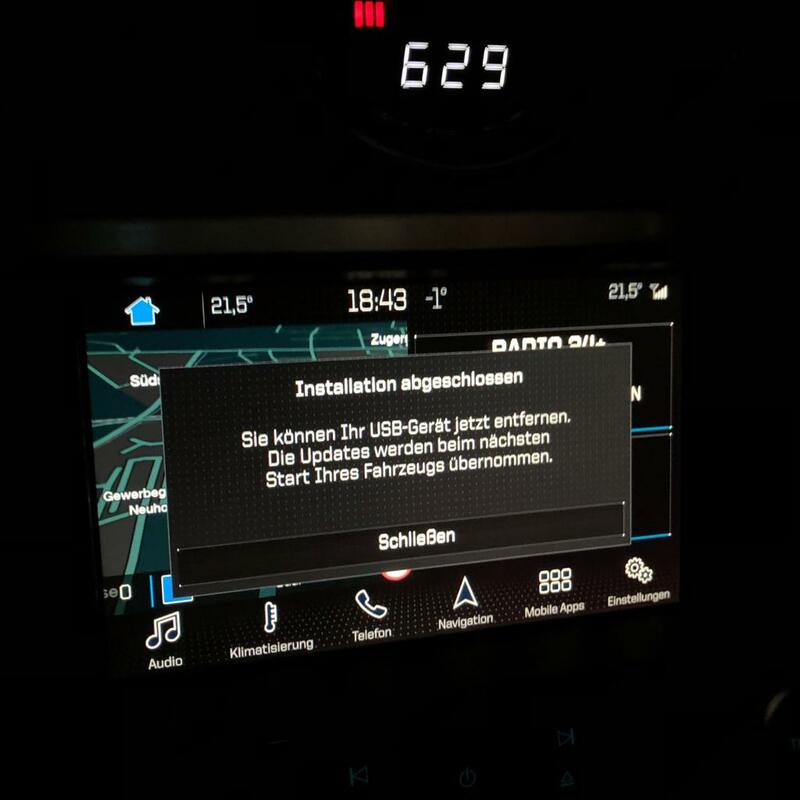 This tutorial (describing the official way to upgrade) will not work with vehicles that have a converted SYNC 3 module installed (like a US Mustang with a swapped APIM module for having European maps, for example), but there is a solution for that, too. 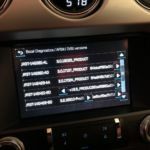 If for whatever reason you don’t want to share your vehicle’s data with Ford servers but still like to have F8 maps update, you might want to check the workaround solution, too. First ensure you have the latest Version of SYNC 3 installed. 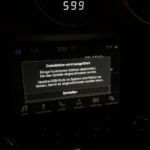 For this to make sure, just check your country’s official Ford Sync 3 update website and enter your VIN for the system to check. If the system says you have the latest version, go on with the next step. If a download is offered to upgrade to latest SYNC 3, first do that installation according to the provided instructions. After successful installation it is essential you report it back to Ford servers by uploading the XML file which was created in the SyncMyRide folder. Log file not created? No worries, there is a tool available to create it. Click here. 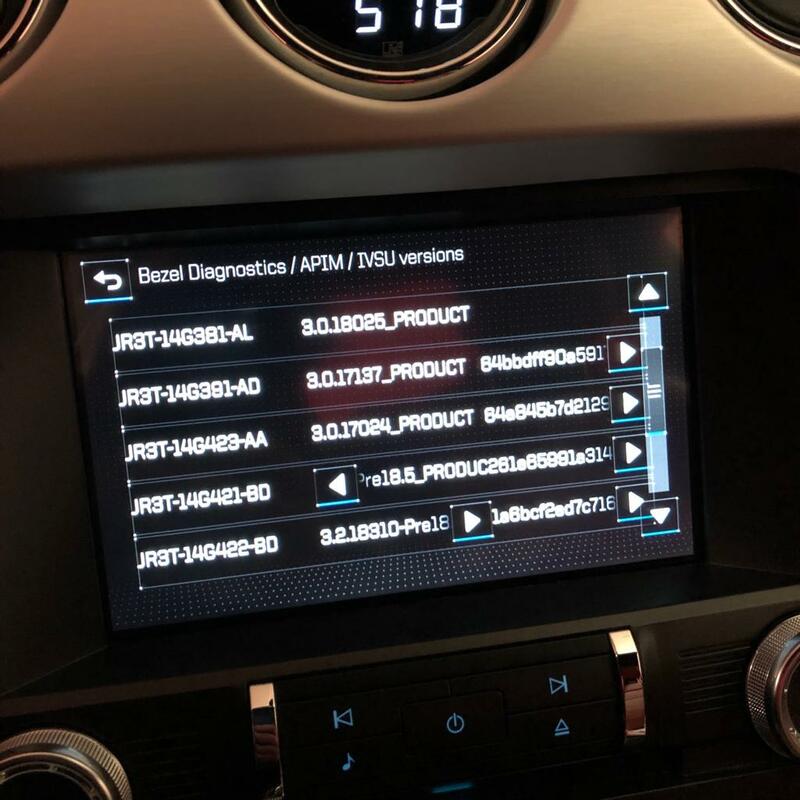 Some of the Ford websites offer downloading new map data, too, if they are available for your car and you have the right/latest version of Sync 3 installed. In this tutorial we use the UK website to get those downloads as a lot of people understand/speak English. So, if not already there, go to https://www.ford.co.uk/owner/resources-and-support/sync-bluetooth/update#/, enter your VIN and let the system check. If you have the latest SYNC 3 and there is new map data available you will be offered a download (which might be quite big, like 25 GB). If the website says “Try again later” then it is recommended to do exactly that (like one or two days later) as new maps might be on the way and available, soon. Extract the files in the root directory of an ExFat formatted USB thumb drive with at least 32 GB capacity, notice you are in an excited mood, and walk to your car. As we are not doing any “hacking” or alike: SYNC 3 App and F8 map data will not install on APIM (SYNC 3) modules that are not appropriate for this versions (like non-EU-modules or modules without navigation). Depending on your SYNC 3 version and the model year of your car, installation might be split up into to parts with one ignition cycle necessary in between. If voice guidance, nav commands and Gracenote data are updated, too, installation process might take 80 minutes or more. After Installation/Upgrade procedure is finished it is always a good idea to perform a full shut down/off procedure or even perform a master reset on the apim. It might take a while for the maps to reinitialize and show up on the screen upon next start. hi i completed this update yesterday on my UK focus st 2017, via official website, all went well on 1st 2 stages and to out usb when screen prompt showed, but then there was no xml file to upload and show as complete in stage 3 so i cannot complete this step and the website still shows as update is still available, can this file be manually created or is this a dealer only thing. The XML file should be created within the “SyncMyRide” directory. If for whatever reason it was not created, try installation again. Unfortunately currently uploading that file will not update your vehicle’s version status on F*rd servers. your map file version is 25017363174, from uk site is 25013744908. Your file is more updated, where do you download it? IMHO the owner package is just packed later than your’s and it doesn’t necessarily mean the date is more recent. Update worked perfectly thanks! Very easy this time round. One question – I didn’t realise that a log file creates after completion and I removed the USB. The user guide notes that a seperate download for logging should that occur. Any idea where that is? The user guide doesnt note any link. I am not sure if I understand correctly what that “seperate download for logging” should be. The .XML file should be created within the “SyncMyRide” directory on your thumb drive after successful Installation. I am from Romania and I have successfully completed the update for SYNC 3 version 3 (built 18025). The update file was downloaded from ford.co.uk because on the Romanian site the update is not available. I have uploaded the .xml but I don’t have access to the map update. I have reinstalled the update from a different USB with the same result. 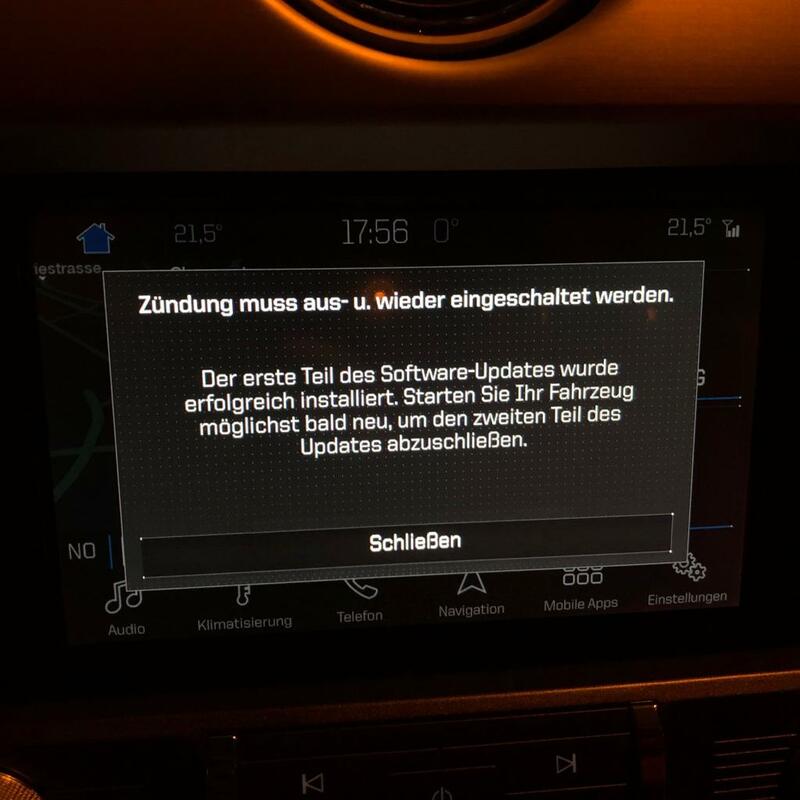 When I checked again the VIN I have received the answer that there is an update available for SYNC – the same that I have already done. It seems that the uploaded .xml file is not recognized. Do you have EU-type SYNC 3? I have same problem. Second part not update correctly and I get BGMAP_ERR01. Now each time I start my car I receive a message that something was not ok and to leave stick inserted in USB and to not stop the car. After few minutes I get BGMAP_ERR01. My sync is EU. I bought my Mondeo in 2017 from Romania. What can I do or how I can delete what is inside and reinstall maps complete? Not enough free memory on your storage. Probably the Update Process was interrupted before completion or it was successfully completed but restarted again after the next ignition cycle. Please remove the USB Flash Drive and retry after next ignition cycle. If this issue persists, the USB Flash Drive might be locked by the system. If this issue persists, some files on the Sync system may be corrupted. In this case, please use the Troubleshooting section on the website, near the bottom of the page, to create a new log file. Once that file is uploaded you may start the Maps update again. Yes, I have EU-type SYNC 3. I use a Kingston 64GB usb 3.1 stick so it is not possible this is due by a lack of space in the card. I have downloaded the file from the link you gave me – F8 (2018) Maps, Voice, Gracenote:- tkank you. Is it in english or in german. Or I can choose the language. Can you install this on a MY2016 Mondeo? Does it have European SYNC 3 with Navigation? Then yes. Hi. Can i use this on sync3 softwareversion 3.4 ?? It probably won’t install on MY18.5+ vehicles (coming with 3.2 or higher by default). are the ones from Ford UK older? It’s more about when the download was packaged which does not necessarily mean the archives themselves are older or newer. I have already tried to make one, but no succes. My question to you is what is the structure from the autoinstall.lst file? Or have you this file complete, can I download it somewhere? And…. My completed map have a size from 16.75 GB …. ??? … On the Ford site should be the download have a size from 25.02 GB big? Do I missing something…??? … so yes, what? I am sorry I am unable to provide individual support to that extent for free. If you don’t want to use the package linked in this article please consider contacting Ford service/support. Hi, I am in a loop that I can’t seem to get out of. I currently have map version EU 4.15. I did the upgrade to Sync software version 3 without any issues and that opened up the Map file download. I formatted the USB as per instructions and on a journey the system started the update. However it failed with the Error PKG_ERR03. I tried again but still failed and I then got LST_ERR05 error. As the message advised, I downloaded and extracted the files again but now I get a message saying that the USB storage device has been changed or removed and that Installation will restart when the device has been re-inserted. I can’t get past this and wondered if you know of a way to get out of it? Should I download and install the F7 update first using the old instructions? The USB I was using was 32G. Ford customer services (number came up on the error message tell me to contact dealer, dealer tells me they don’t do the updates, its an owner process. I appreciate any advice you can give. Perform a master reset and after next ignition cycle wait for the (old) maps to load (to get your location displayed). If there is an xml file in the SyncMyRide folder of your thumb drive delete that file. Then try installation process again. There seems to be not enough space on your SYNC3 module. Did you do any “experimental” updates of SYNC3 in the past? Hi No I have only performed 2 updates. First was around 1 year ago and again based on files provided by Ford after I input my VIN to their website, then the upgrade to version 3.0. I tried with another USB but still getting the same message that the USB has been removed and install will continue when USB is re-inserted. Goinf to try the F7 update tomorrow as I have a 4 hour drive. Just formatting USBs now. It does seem strange that it is giving 3 different errors. I have also emailed Ford to ask what I should do as none of the dealers I spoke to seem sure. They are basically saying bring it in and we will take a look. I need them to tell me they can reset the unit such that it will accept the update again. I am guessing there is an interface somewhere on the unit that a laptop or diagnostic tool can be connected to? From what I understand the Sync 3 module is running Blackberry QNX OS. Is there any way to install Eu maps to an USA SYNC 3? It is said in troubleshooting that can be done with a hardware change, what does that mean? Can the sync hard drive be changed easily, or do you need to buy another EU hard drive from another car? uSING THE FORD WEBSITE i NOTICE THAT IT GIVES ME A DOWNLOAD FOR _2751223487_Update BUT THIS IS ONLY 1.3GB AND DOWNLOADS AS A CORRUPTED FILE. iS THERE ANY ISSUE GOING TO 2754841753_Update INSTEAD? I have no idea about the archive‘s content. You can send me your VIN via contact form. Hi, I downloaed Map_8666062467_Update.zip from ford.nl and unzipped to a 32gb usb (exfat), installed in my CMAX with Sync3..0 build 18025.
took about 30mins ‘updating’ before popup with update completed. 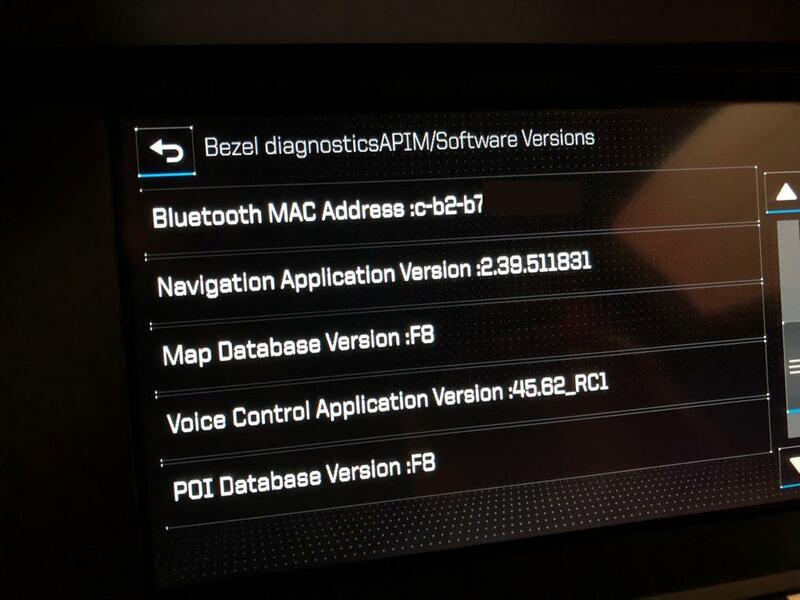 After turning car off, locking dorrs, etc and reseting sync3 to factory defaults map version still says F6.1. I was expecting to see F8. I have no idea what the content of your downloaded package is. You can send your car‘s VIN via contact form so I can check. SYNC3 Consumer Application Upgrade – Release 3.0.13 – Only for Nav/EU assemblies. i wonder if the lower build number on my car is causing an issue?. There is actually no issue. However, if you are unwilling to send me your VIN chances are quite low I am willing to help. I sent the VIN to you via the contact form as requested. Thanks for sending it in. Your download has no maps update but a Gracenotes and Navigation Voice package. However, if running your update there should be an XML file be created in the SyncMyRide directory which you can use to report this update to Ford servers (on that update page you downloaded it from). That might activate a more recent maps download after an amount of time. I have a uk 2016 Ford Focus which had a sync 2 apim. i replaced this with a sync 3 apim which i bought new from a polish supplier. the software version is 3.2, build 18004, f6.2 maps. can i update the maps using your f8 software? I can’t support custom installations as dependencies may vary. However, starting from 3.2 hardware the internal structure is different from earlier versions so the map updates for those older versions will probably not install on 3.2+ hardware. Hi, i can’t download the update at all. when downloading via browser it stops at about 3gb, when i use a downloadmanager is keeps getting to 73% and all of a sudden it says, remote server closed connection. i get the same problem on both links (via this site and via the ford site). Does someone has or had this problem and is there a fix? Sometimes Ford servers have issues. There is nothing one can do about it except trying it again, later. I am still trying to install, I have used different USB sticks but still no luck. still says after about 5 minutes “update complete” changes will take affect after restart. but still stays on map version F6.1. I sent the car VIN via contact form as requested are you able to help? Hi, i have a S-max 2016, i trying install maps but wont start. i waiting about 30 min, engine on, but nothing happening. Any ideas? thanks. If you considered the guides but nothing happens, please consider your local dealer. I always suggest using an USB thumb drive with an indicator lamp to see if there is something going on. When I successfully updated my Focus to the F7 map update, no xml file was created in the SyncMyRide Folder. I checked the update status of mY car on the ford website and it was not up-to-date (as I expected). 2 days later, I checked the update status of my car again on the Ford website and it was up-to-date. I think the update status of the car was downloaded over wifi, rather than relying on the owner doing it using the xml file. (Have added this in case it helps anyone, would be interested if anyone has seen the same result). Help for Maps Update 2016/7 Ford C-MAX Nav. ‘install.lst’ addresses 4 ‘Open’ instructions for ‘SyncMyRide\8L2T-14D546-AF.CAB’ for Windows Mble For Auto 5.5,6,7&8. Plus 137 ‘Open’ instructions for each of BT4T-14D546-EE.CAB & GB5T-14G386-AB.TAR.GZ including ones for [SYNCGen3.0_3.0.18025]. 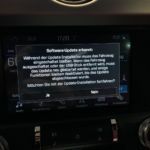 I have repeated all, also from Ford German website but produced exactly the same downloaded files and the same Installation Failure. Added DONTINDEX.MSA and tried with car Auto Update and WiFi off, but to no avail! This is actually not a map update but a package that tries to run the interrogator, a script to create a SYNC3 software state XML file within the SyncMyRide folder. After running the script upload the created XML file on the update web page to update F*rd servers and you will probably get updated maps as soon as they are available for your car. I had aready successfully installed the V3 SYNC software and uploaded the XML file to the Ford UK server to register the update for my vehicle. The website had then invited me to download a current map update – but it delivered the files which you pointed out were not a Map update. I tried again today and the Ford UK server offered me a new zip file. This time map_25013789187_Update.zip – 23.5GB! So I guess the Ford site finally assembled my Map update file, after a few days? I initiated download of this zip file to a space of more than 40Gb on my PC – but it failed after a couple of hours and only 6,869,790Kb. I have the part file – and will try to reinitiate the download. You’re welcome, happy to hear it worked for you, too. 🙂 Would you mind sending me your VIN via contact form? I am always trying to improve understanding how F*rd servers manage these feedbacks. Hi. Just finished the update. It went well. Lasted about 40/50 min. However, in Ford’s portuguese site the download of the maps stoped at 19 GB. It happened twice. Fortunally I used the link that you provided from Ford’s uk site and I was able to download the complete files. No problems with language. Everything in Portuguese as it was before. I also had to use zip file from the link you provided too, to create the log file. It went well too. Thank you very much for your site and for the information shared. 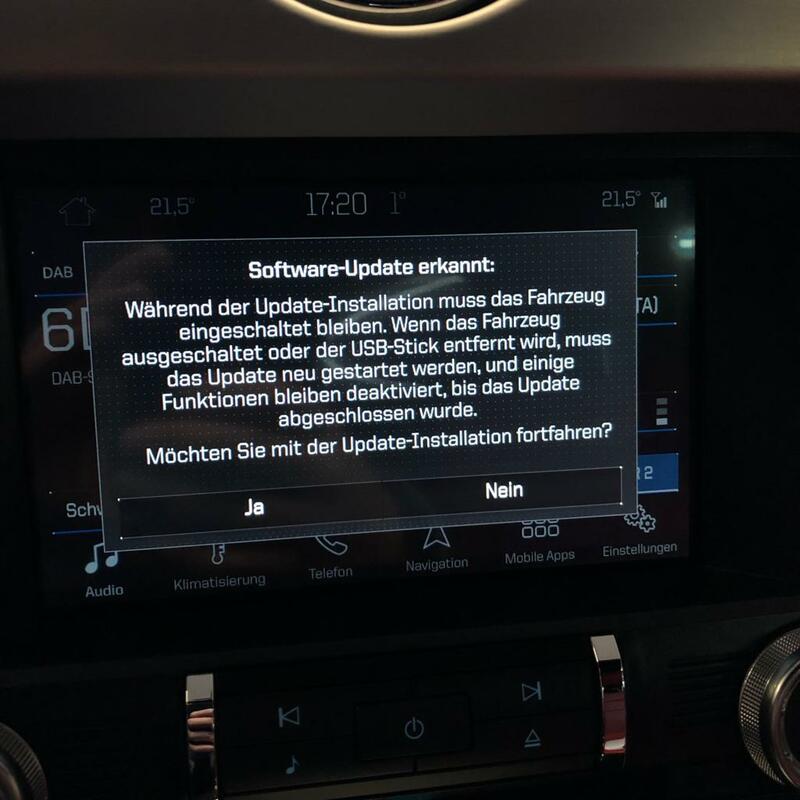 When I have a look on the french Ford website the system tells me that my software is uptodate but nothing about a new version of navigation maps ! Is it possible for me to download map from UK Ford server and in fact have map and voices in french ? Now I have just to try download the update package, not so easy with an ADSL line less than 4Mb/s ! Just a little question : is it possible to have a complete backup of the Sync 3 System and if yes how to do this ? Congrats! 🙂 I am sorry I am not aware of any tool for end users to create a Sync3 backup. I got Kuga 2017+ and I’m from Bulgaria. I updated my SYNC3 to version 3.0 build 18025 as needed. My navigations maps version is EU 4 15. Ford servers don’t offer any update for me. They responses the software is up to date. Can I use maps F8 in replace of EU 4 15? Thanks! As I understand there is no chance to do a fallback. And a second question. In case I install F8, is rthere a chance to return to original chain if there are new official updates? Hello all and many thanks for you help. I have updated my Kuga 2017 from Sync3 software 2.2 to version 3. Next step should be to update the maps but the file I’m getting is 162kb only. I’ve tried several times to download the maps with the same results. I got error LST003 and nothing happens. Could you please help me? Hi Learjet60. Unfortunately it is very difficult to give proper support via a comment section. However, the solution I had for Don Anderson might work for you, too. Find it here.